The gift of Flowers and chocolates on Mothers Day are beautiful gifts but they only last a short time (especially in my house! ), but stunning family photos will be cherished for a life time. 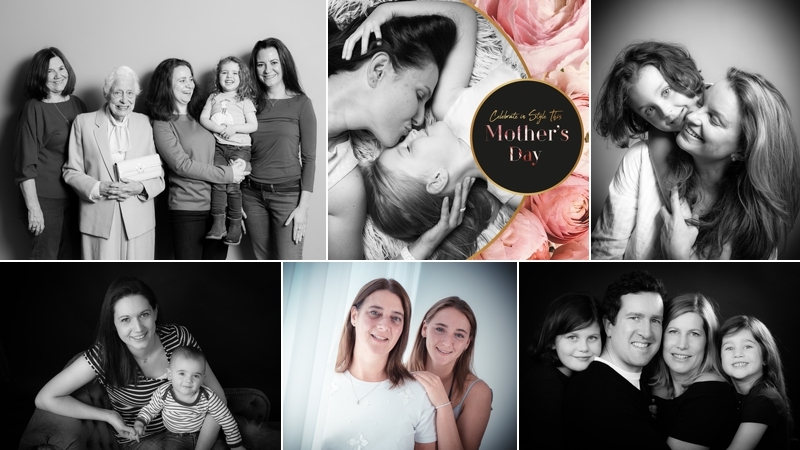 To celebrate Mother's Day this year we are giving away 20 multi-generation family photoshoots with the chance of winning our top prize of a photoshoot and a 30 inch framed portrait worth £700. Each of our 20 complimentary photoshoots include a 10 inch framed portrait. Once you book your session, you will be automatically entered into our prize draw. One lucky winner will be upgraded to the 30 inch framed portrait. All you need to do is either book your multi-generation photoshoot online via the Book Now button above or fill in your details below and we will give you a call to look at dates. Your shoot will need to be booked into our system before Mother's Day on the 31st of March. We are open 7 days a week and you can book the session between now and the end of August. Please note you will be asked for a £20 refundable booking fee to secure your session but this will either be refunded when you come back for your ordering session or it may be put towards further purchases. If booking your shoot online please put 'MOTHERS DAY' in the comments section. Please read the T&C's below. The Draw will take place on the 31st of March 2019. The winner will be announced on our Facebook page. We will also be in touch via email or phone. Only one of our photography prizes can be claimed by each family. Not available to those who have had a photography experience with us over the last 12 months.